It’s really cold outside, there’s no need to leave the house with this weather. What you really need is a good Wine! Here’s a short list to warm up your winter. Cold weather calls for warm meals, full-bodied wines, and a good movie by the fireplace. In order to perfect this, the only thing missing is the most suitable wine for low temperatures. Generally, if you choose a Red Wine or a Sparkling Wine the margin of error will be very short. However, we are here to help! Syrah: known for its strong flavors of wild berries and pepper, with a strong and robust body, syrah wines are powerful and sometimes a bit alcoholic. It goes along really well with a plate of grilled meat or game meats on cooler evenings. Cabernet Sauvignon: a complex wine of deep color, slight acidity and aromas of blackcurrant, tomato leaf, spices and cedar wood. Ideal for accompanying poultry and mashed potatoes. 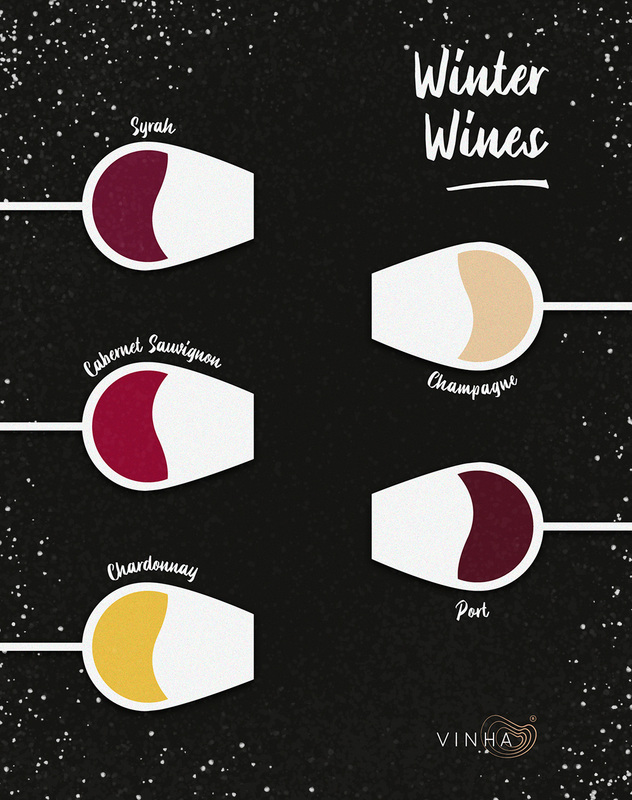 This type of wine promises winter nights filled with hot meals at home with family and / or friends! Chardonnay: Oaked Chardonnay is characterized by being a full-bodied wine dominated by sweet tastes – vanilla and caramel. Perfect to add to a dish with mushrooms, poultry or gruyere cheese. Champagne: There’s no better way to celebrate the start of the year! Champagne is a very versatile drink that easily adapts to various dishes, from nuts to cheese and bacon. Refreshing and light, this type of wine ensures a good night. Porto: On the longest nights of the year, Port Wine is undoubtedly the best partner! It presents a unique and comforting quality with its rich and concentrated flavors. You can always mix this Wine with cheese, chocolate and nuts.